Today every business are using the website and web hosting service. And the reason behind it is that today a lot of people are using the internet service so today if you have a website then you can easily get connected with the people around you and also with the people across the world. And today if you are using a website then you can easily showcase your business products and service. And with the help of a website you can also do marketing of your products. So today using a Linux cloud hosting for your website gives you more advantages than any other hosting platform and the reason behind it is that Linux operating system is very easy to use and also manage, and you know that today Linux is one of the most used operating systems in the world. And using cloud hosting gives you better hosting platform where you can easily access to your business data at any time at any place with the help of internet. So today, if you are using Linux cloud hosting and if you are looking for information on different types of backups available in Linux Cloud hosting then here, is the information. 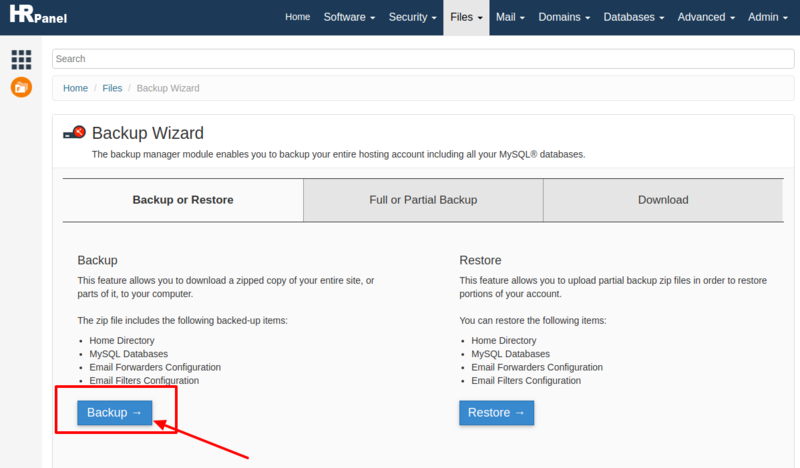 >> In Partial Backup you can take backup of Home Directory, MySQL Databases, Email Forwarders and Filters or you can also take entire backup of your data at one by clicking on backup under Full Backup option. 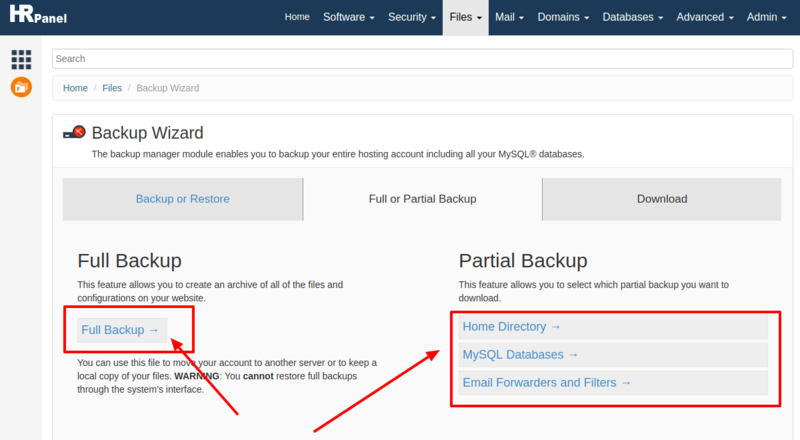 >> Once you click on Home Directory to take a backup click on Home dir backup option. Now the backup of your files and data will be downloaded and will store in your backup location in your file manager. And today if you are looking for best Linux cloud hosting solution for your website then here at HostingRaja we provide best in class Linux based cloud hosting option at an affordable price. Not only that we also provide amazing offers, features, and discounts on our cloud servers. We also provide 24/7 customer support via phone, chat, email and ticket system. So what are you waiting for get the best Linux cloud hosting from HostingRaja today! !